There has never been a retrospective on Christopher Marlowe as comprehensive, complete and up-to-date in appraising the Marlovian landscape. Each chapter has been written by an eminent, international Marlovian scholar to determine what has been covered, what has not, and what scholarship and criticism will or might focus on next. 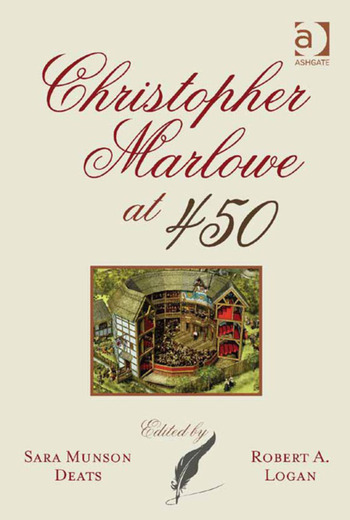 The volume considers all of Marlowe’s dramas and his poetry, including his translations, as well as the following special topics: Critical Approaches to Marlowe; Marlowe’s Works in Performance; Marlowe and Theatre History; Electronic Resources for Marlovian Research; and Marlowe’s Biography. Included in the discussions are the native, continental, and classical influences on Marlowe and the ways in which Marlowe has interacted with other contemporary writers, including his influence on those who came after him. The volume has appeal not only to students and scholars of Marlowe but to anyone interested in Renaissance drama and poetry. Moreover, the significance for readers lies in the contributors’ approaches as well as in their content. Interest in the biography of Christopher Marlowe and in his works has bourgeoned since the turn of the century. It therefore seems especially appropriate at this time to present a comprehensive assessment of past and present traditional and innovative lines of inquiry and to look forward to future developments. Sara Munson Deats is Distinguished University Professor of English at the University of South Florida, USA. Robert A. Logan is Professor of English at the University of Hartford, USA.